A dog is for life. Were truer words ever spoken? Dog lovers the world over understand that when a pup comes into your life, he or she will forever change your world, become a part of your family and contribute to your life in ways you could never have imagined. In honour of the pups the world over, I've been working with the Dogs Trust, in the UK, to spread the word about dogs in need of homes. Dogs Trust faces the daunting task of raising millions of dollars every year to keep their facilities and special programmes running around the country. They have a policy in place which means a dog is never put down. Whether that dog can find a permanent home with a family outside the facilities, or has a home there with the caregivers for life, every dog has a comfortable place to live. For me, this was an incredible undertaking to witness. Last year Dogs Trust found homes for nearly 15,000 dogs- an astounding figure. Along with providing homes for every dog they encounter, Dogs Trust also provide a number of programmes that help with the dogs out and about in everyday life. They help in providing free treatment to dogs of the homeless, they run a global education programme on responsible dog ownership and they offer lifetime assistance for any dog rehomed from the shelters. And that's truly just scratching the service. So, I've spent the last couple of weeks focusing on the dogs themselves, talking to you about the pups that need immediate help and a home. However, today I wanted to focus in on another way you can help in insuring that Dogs Trust continue to work their magic for pups the world over. It's as easy as picking up your mobile phone and hugging a dog. Take a selfie with the dog in your life today, or find a picture of a dog that has meant more to you than words can ever express and share that image socially, via Facebook, Twitter or Instagram. 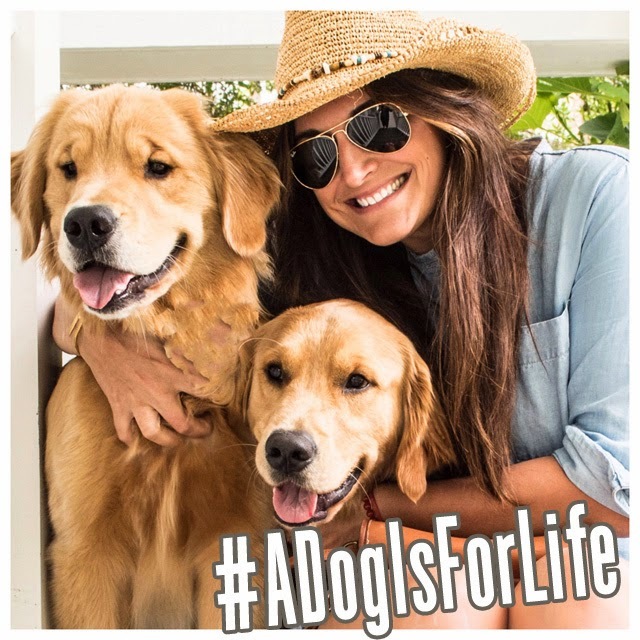 Use the hashtag #ADogIsForLife and share that picture far and wide. But don't stop there. While sharing that picture, tag three of your friends that also want to help in supporting a campaign to honour our best friends and to support a charity that is working hard to protect them all. Challenge them to also share a selfie with a furry four legged friend. And if you can find it in your hearts to do so, please pledge £5 to Dogs Trust as you share the selfie, and encourage others to do so as well. Text "LOVE01 £5" to number 70070 (UK only) and your donation is done. Easy as that. You'll receive a text back say you have donated to the Dogs Trust and in that moment you truly will be a hero to little friends the world over. For those of you that live further afield, outside the UK, you can donate to the cause through this Paypal page. I have spent five years, since founding FFG, looking for the perfect charity partner for the business and I truly feel as if Dogs Trust is doing some of the best work when it comes to supporting our canine companions. That's why I will also be donating a portion of FFG's annual profits to the cause each and every year to insure I am doing as much as I can to help this amazing charity. I hope you will join me in supporting the cause and spreading the news on what can be accomplished with a lot of hard work and a whole lot of love for animals. 1. Tweet, Instagram or Facebook a picture of you and your dog! 2. Tag three friends encouraging them to do the same. Thank you for all of your support, lovely readers. And I'm sure the tens of thousands of dogs around the UK would send you thank you letters if only they were able. For now, you'll have to take our word that they are all eternally grateful for your time and efforts!